At this year’s Dayton Hamvention, I attended the Four Days In May QRP event put on by QRP-ARCI. A number of projects were on display, including this transceiver. 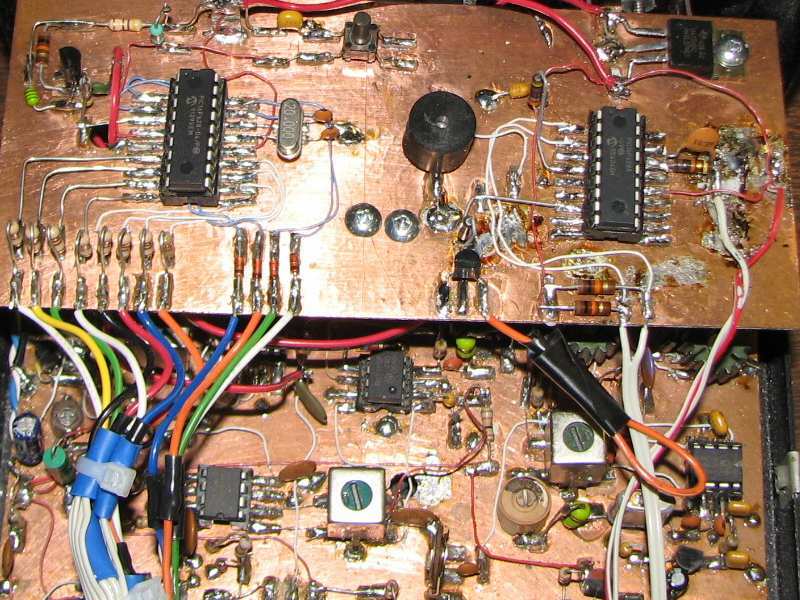 Carl Herbert, AA2JZ designed and built this 40m transceiver, drawing on the NW8020 as a source of inspiration. 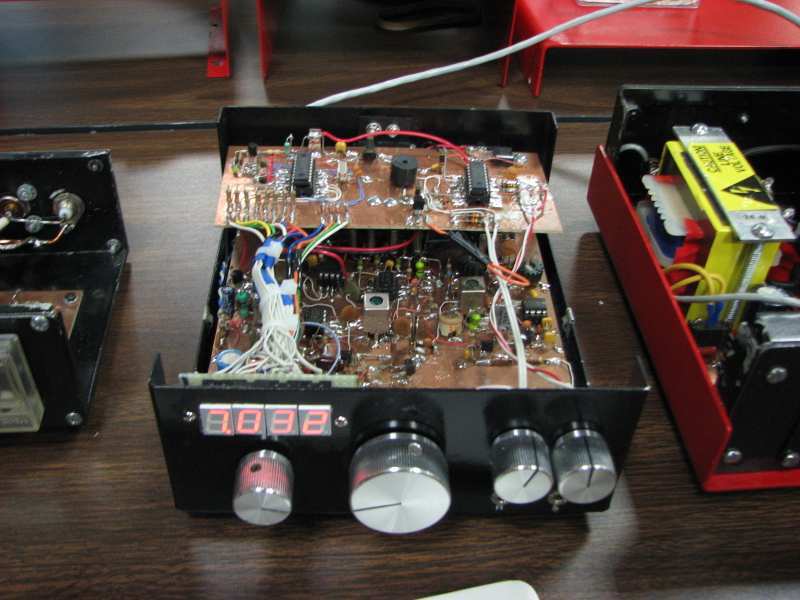 It uses NE602 mixers and two PIC microcontrollers, and includes a keyer and a frequency counter. I was impressed by Carl’s tidy Manhattan-style assembly technique, in which small pieces of copperclad board (PCB material) are glued down and used as points to which wires and component leads are soldered. Most impressive is that he used the same technique for the chips. Carl must have a lot of patience to be able to position the little “nibbles” of copperclad at 0.1″ spacing to take the IC leads.